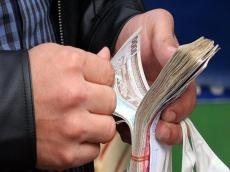 The Uzbek soum is losing its positions in relation to major currencies, Trend reports via press service of the Uzbek Central Bank. On Monday, the Telegram channel of the Central Bank stated that the US dollar's rate in relation to the soum increased by 16.59 soums and reached 8401.53 soums. The euro increased by 54.22 soums to 9623.11 soums compared to the last week. The ruble doesn’t show a strong increase, but the Russian currency grew 1.26 soums and amounted to 128.35 soums over the past week.